In the perfect world of The Editor there would be fewer humans taxing the earth’s resources and fewer still straining those of Queens and NYC. Regrettably someone else from this borough was recently elected monarch so I won’t be able to impose my will until 2020 and thus will be required to accept compromises, just like everyone else. That will entail watching large swaths of Long Island City towered up to the sky, much of which has already transpired. Despite my anti-growth leanings, I’m ok with the status quo and what’s already on the drawing table. The proximity to Manhattan and easy accessibility to multiple subway lines make LIC such a natural fit for some additional building. Plus there is minimal if any displacement of existing communities, aka gentrification. Sure, many businesses are getting priced out and the artistic community will sadly be diminished. For businesses that’s the natural order, and while I’m not happy about the departure of artists, the area is quickly becoming too sterile to foment anything but ersatz art for the upwardly mobile and the critical mass that creates an artistic community is being unwound. For those reasons, I am all in favor of the “gentrification” of Long Island City as it is currently zoned, but I am against the gentrification of most other parts of Queens. 1 That is where the anti-everything fight should be taken. As for opposition to anything at all being built on Waters’s Edge, the request is unreasonable and the arguments are tepid. First of all there is a lot of nearby parkland, most notably Gantry/Hunters Point South and Murray Park, and adding more in this exact location won’t do a thing for where open space is really needed: Court Square and Queens Plaza. In regards to the flood plain, the same argument could be made for all the towers along the waterfront. Developers and owners are aware of and willingly retain this risk, I’m unclear how leaving it vacant will mitigate the risk for these owners, which is what is being implied. And if it does, why is that a cause worth fighting for? Ex a real estate collapse, not building on the Water’s Edge site is a non-starter. Instead I recommend taking a more measured approach, maybe to reduce the size of the project, which per the RFP I show as a pair of 60-stories, down to 40-stories? Also advocate for what’s really needed for current residents of Hunters Point: a rec center and a pedestrian bridge connecting LIC to the Cornell Technion campus? These requests are rational not reactionary, and very timely to boot. Furthermore both the city and the developer, TF Cornerstone, have a lot to gain if only they were shown the light. Public Hearing on New School Proposals in Hunters Point – I did not know there was a 57th Avenue! I also believe there should be no further consideration of rezoning of LIC or Sunnyside Yards for another decade. 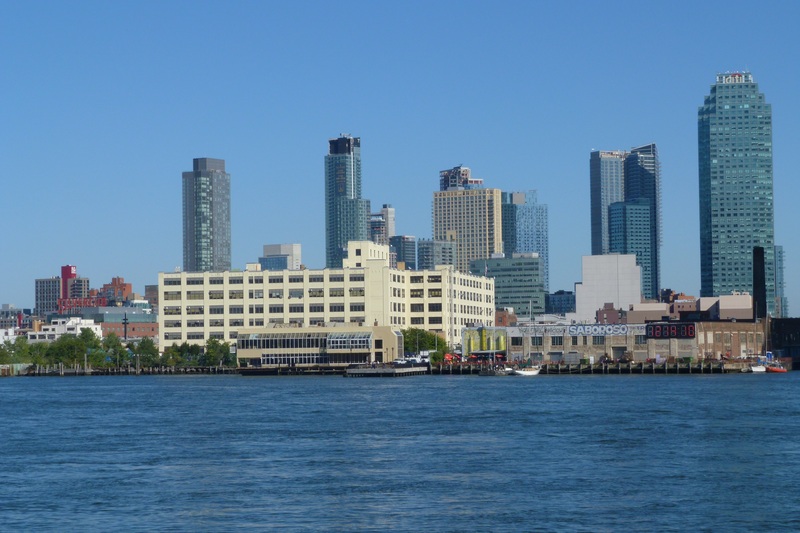 The post MUSINGS ON GENTRIFICATION IN LIC AND DEVELOPING WATER’S EDGE appeared first on LICtalk.